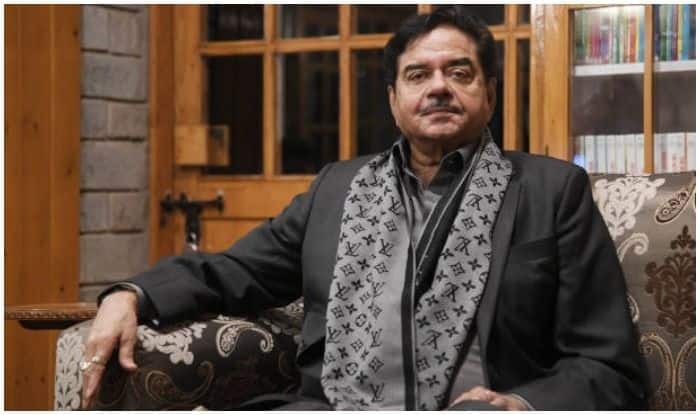 In a series of tweets, Shatrughan Sinha slammed the Bharatiya Janata Party after being snubbed by the party. Speculations are rife that he may contest in Bihar on a Congress ticket. New Delhi: A day after National Democratic Alliance (NDA) announced that Union Minister Ravi Shankar Prasad will contest from Bihar’s Patna Sahib in the Lok Sabha elections 2019, Bharatiya Janata Party (BJP) MP Shatrughan Sinha took to micro-blogging site Twitter to express his disdain and said that he was ‘capable of paying back’. In a series of tweets, Sinha slammed BJP and quoted Newton’s third law: “Remember Newton’s third law…every action has an equal and…” “What you and your people have done with me, is still tolerable. I’m able and capable of answering your people back in the same coin (sic),” tweeted the actor-turned-politician. The rebel BJP leader accused the saffron party of acting against veteran leaders like LK Advani, Yashwant Sinha and Murli Manohar Joshi. BJP National President Amit Shah will contest from Gujarat’s Gandhinagar this time in place of veteran party leader Advani, the BJP had announced on Thursday as it had released its first list for the upcoming elections. Sinha also took a dig at Prime Minister Narendra Modi’s #MainBhiChowkidar campaign and said that the party should take corrective measures instead of attacking the Opposition time and again. “Sir ji, instead of playing Rafale Baba and Chalis Chokiwdar, which has already fallen flat on its face, it’s high time & right time to take some corrective measures (if you still can) and go for damage control soon, sooner the better (sic),” Sinha tweeted. Sinha had a fallout with the ruling BJP after he was left out of the cabinet. Speculations are rife that he may contest in Bihar on a Congress ticket. The national elections will begin on April 11. Bihar will vote in seven phases on April 11, April 18, April 23, April 29, May 6, May 12, and May 19 respectively.